If you're on a modest budget but don't want to give up comfort or convenience, you'll appreciate Kia's approach to the compact SUV segment. And, while its V6 engine produces little more power than Honda's in-line four, you'll appreciate the V6's smoothness with every tip of the accelerator. Kia Sportage still going strong after 11 years. The Sportage is a comfortable vehicle and has a nice amount of cargo space. It gets good gas mileage and handled fairly well on the highway. Our main complaint has been with the way it handles on snow & ice. We expected better traction for an SUV. The original tires were good but once we had to replace them, it was hard to find a set that had good winter drivability. The body has held up well even though we live in the Midwest and frequently drive in areas that use road salt in the winter. The vehicle currently has just over 160, 000 miles and is still going strong. I have a Kia Sportage which is roomy. I can carry 5 people comfortably. I also use my car to carry home my home supplies. Most fit right in with the back seat down, but sometimes I have to leave the back window open. I also use my car to take my dogs to the vets. There is plenty of room for them when traveling. I feel about the gas mileage is reasonable for the size of suv I have. It is a safe car with quite a few airbags. 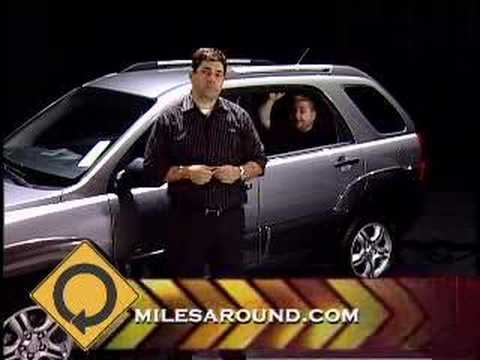 Kia Sportage are very reliable and dependable cars. Basic car problems occasionally- nothing out of the usual. Reliability 100% to and from. Comfort is great, heated seats, ac/heat works great, sunroof/moonroof, leather seats, lots of storage, and other little features. The car is dependable, and it looks great inside and out. Looks more expensive than what I payed for it. I would recommend this car and I will perhaps be purchasing another Kia Sportage in my upcoming years. HYUNDAI-KIA IS RECALLING 139,844 MY 2006-2007- SEDONA, SPORTAGE, SORENTO AND MY RONDO AND AMANTI VEHICLES. THE STOP LAMP SWITCH IN THE VEHICLE MAY HAVE BEEN DAMAGED DURING THE ASSEMBLY PROCESS. AS A RESULT, THE STOP LAMP SWITCH MAY MALFUNCTION CAUSING ONE OR MORE OF THE FOLLOWING CONDITIONS TO EXIST: THE BRAKE LIGHTS MAY NOT ILLUMINATE WHEN THE BRAKE PEDAL IS DEPRESSED OR MAY REMAIN ILLUMINATED WHEN THE BRAKE PEDAL IS RELEASED. ON SOME OCCASIONS, WHEN THE VEHICLE IS STARTED, THE SHIFTER CANNOT BE MOVED FROM THE PARK (P) POSITION. IF THE VEHICLE IS EQUIPPED WITH ELECTRONIC STABILITY CONTROL (ESC), THE ESC LIGHT MAY ILLUMINATE INDICATING "ESC OFF." IF THE VEHICLE IS EQUIPPED WITH CRUISE CONTROL, DEPRESSING THE BRAKE MAY NOT DEACTIVATE THE CRUISE CONTROL SYSTEM. THE MALFUNCTION OF THE STOP LAMP SWITCH MAY INCREASE THE RISK OF A CRASH. DEALERS WILL REPLACE THE STOP LAMP SWITCH TO ELIMINATE THE POSSIBILITY THAT THIS CONDITION MIGHT EXIST. THIS SERVICE WILL BE PERFORMED FREE OF CHARGE. THE RECALL IS EXPECTED TO BEGIN DURING MAY/JUNE 2009. OWNERS MAY CONTACT CONSUMER ASSISTANCE CENTER AT 1-800-333-4542.